The Corbett National Park has the glory to be India’s oldest and most prestigious national park. Established in 1936 by the name of Hailey National Park it was renamed in1956 after Jim Corbett-the famous hunter, conservationist and author. The park is situated at the foothills of Himalayan belt and has unique geographical and ecological importance. The magical landscape of Corbett is well known and fabled for Royal Bangal tiger’s rich presence. Spread across around 520 sq kms, the park has hills, river, forest, marshland and grassland. Over 650 species of resident and migratory birds can be found here. The park is divided into 6 zones – Bijrani, Dhikala, Sonanadi, Durga devi Jhirna and Dhela. Dhela is a new eco-tourism zone of Corbett National Park included in tiger reserve zone in November 2014. This is the only area in the reserve’s buffer zone open to tourists. The zone is retaining the attention of large number of tourist because of its wealthy flora and fauna open throughout the year, located at an approximate distance of 13 Km from Ramnagar City. It’s a small village with around 250 families who are relocated from villages that were merged into the park. Dhela used to be the hunting block for the Britishers and in 1920 Sultana daku used it as a hide-out. 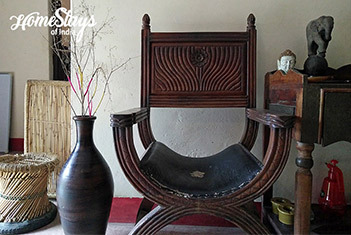 Built by an ex soldier Bhagwati Prasad Bhatt, the home-stay is located adjacent to the park in Dhela village. It is just 800m from the Jhirna entry gate and 400m as the crow flies from the park. 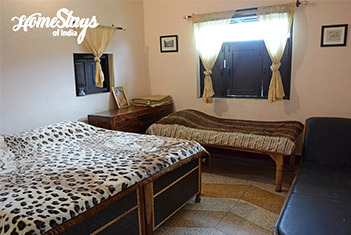 You can hear a tiger roar or deer alarm calls at night in your room due to its close proximity to the park. 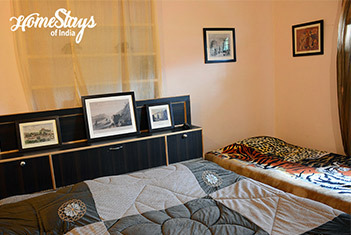 It has 4 spacious double bedded rooms, 2 western style toilets and a common area with television. All rooms have an extra bed. 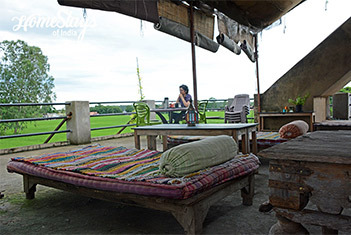 There is a beautiful terrace café from where you get a 360 degree view of the area. 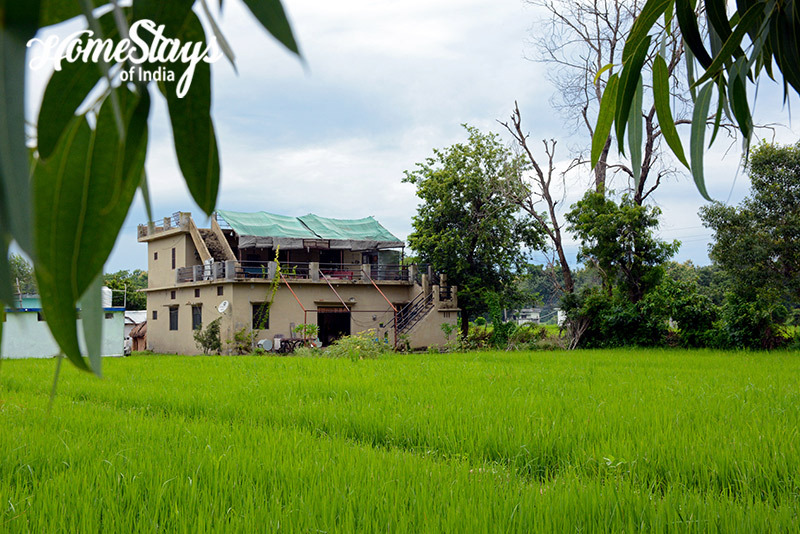 Surrounded by the lush green farm lands, the home is a perfect example of eco-living. Most of the vegetables and herbs used in cooking come from our own kitchen garden. All the wastes are recycled and nothing in the house goes waste. After graduation Pawan decided to make his career in hospitality. Being a local he knows his land very well. 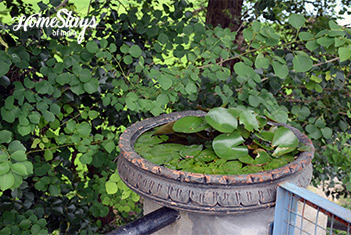 He runs the homestay with the help of his wife Sangeeta and mother Godavari. He can guide you to some hidden gem of Tarai and also help in organizing jungle safari. 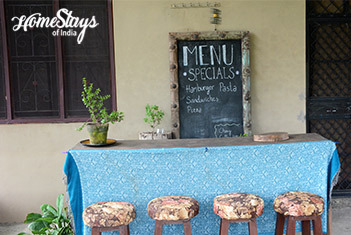 Since Pawan’s mother is a passionate cook, you can expect some rare local veg and non-veg cuisine. You must ask for Kumaoni Chicken. Breakfast can be Stuffed Parantha, Chhole Bhature, Poori Sabji, Butter Toast and Bread Omelette. Dinner can be a mix of Daal Rice, Seasonal vegetable, Chapati and Raita added with Salad and Chutney. Non-veg can be served on prior notice. Note: We organise Tiger Safari also. Sauna, Bonfire, Extra food and Beverages are chargeable. Note: Dhela and Jhirna zones are open throughout the year.